1/13/2013 Fuel System, Alternator, Cooling System and Gauges. The freeze plug issue has jumpstarted a bunch of projects that were best done together. To change the front freeze plug, the alternator had to be removed. It has been squeaking and is a 3 wire unit. I purchased a 1 wire conversion kit some time back, so apart came the alternator to replace the bearings and the electronics. Everything went smooth with the conversion and when the alternator is replaced, it will have TWO upper mounts for strength instead of the one from the water pump. The heater box was painted and reassembled recently. It was plumbed in while this coolant issue left the system empty. I purchased new cables to operate it and installed the box the other day, but the new cable I ordered was too long. Tonight I carefully cut it back, reinstalled and adjusted it. While I was inside the car, I replaced the OEM Jaguar volt gauge which only marginally worked, with a new VDO gauge which seems to be working much better. 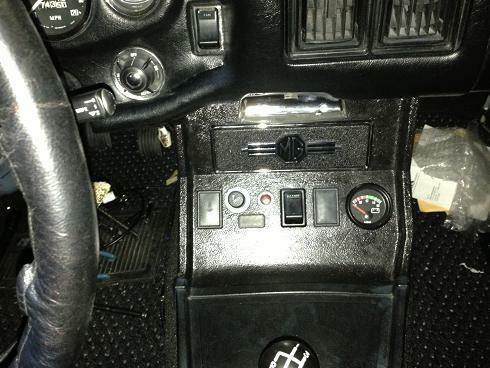 I also removed the radio that I had no intent on using and installed a blocking kit. 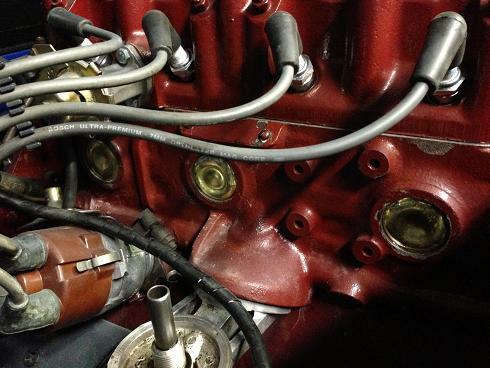 The Jaguar glass bowl fuel filter was plumbed in with a new hard line formed to replace the corroded metal line that was under the hood. There were no leaks after the system pressurized. Tomorrow (or next weekend), I'll replace the leaking freeze plug in the front and refill the system. I also need to install the overflow tank that I'm installing. Finally the alternator can be re-installed, and theoretically, off we go! 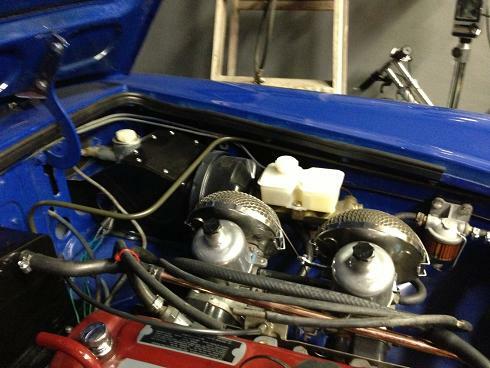 Once everything checks out, I can install the new carbs and get them all adjusted properly. One thing at a time.